Want an all-round kitchen assistant that makes light work of everyday culinary tasks? 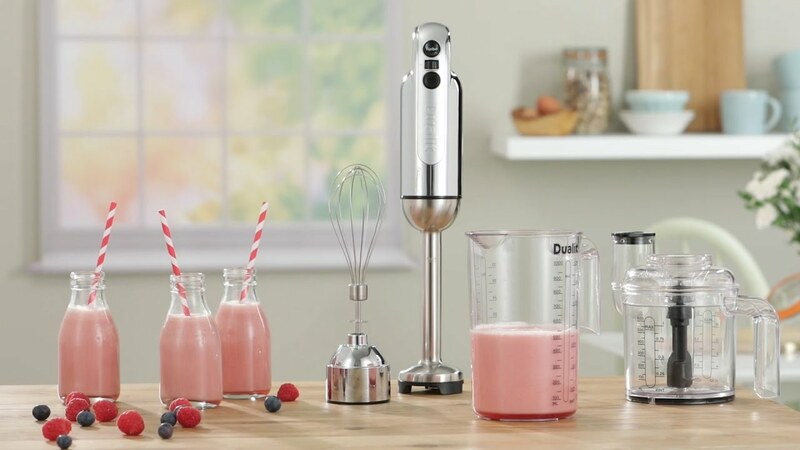 Dualit's 700W multi-tasker takes on chopping, pureeing and whisking with seamless speed. 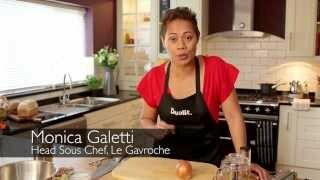 From saucy salsa to perfectly pureed baby food - you can even mix up mouth-watering meringues in a matter of moments. 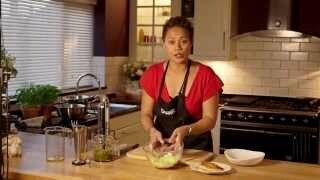 Dualit's Hand Blender combines ease of use with sleek styling and endless versatility. Dualit’s new patented anti-suction wand ensures you have ultimate control and manoeuvrability with up to a 100% reduction in suction. * This means your Hand Blender won’t grip the bottom of the pan. The precision engineered six-pronged blade, combined with the internal fins and 700W of power, delivers effortlessly even blending with unique VortecS® technology. If years of dedicated service eventually begin to take their toll, Dualit recognise that you would be lost without your kitchen’s spare pair of hands. To combat this, the Hand Blender is designed to be repairable*.